Memphis has a variety of restaurants open on Christmas Day for those who want to relax over a good meal. 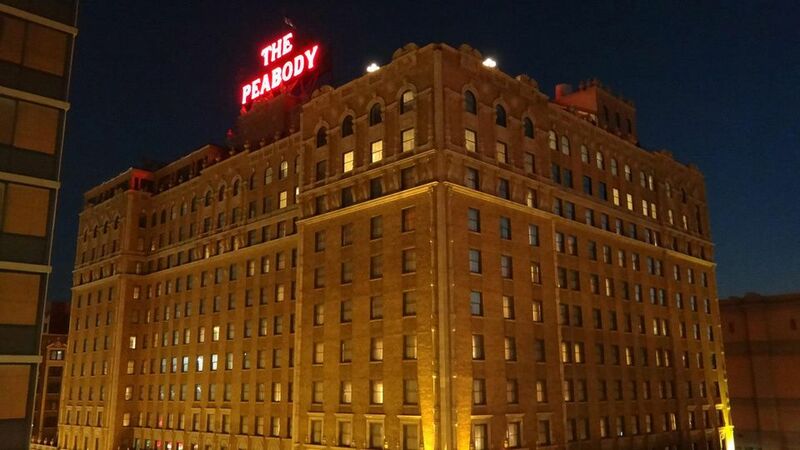 You can enjoy Christmas Day at the renowned Peabody Hotel, find a place with music, or keep it simple a 24-hour restaurant. Take your holiday cheer to Overton Square on Christmas Day starting at 4 p.m. at Lafayette's Music Room. You can expect good food and drinks, and live music from local favorites. The Capriccio Grill, located in the Peabody Hotel downtown will be offering a special dinner on Christmas Day from 11:00 a.m. - 10:00 p.m. The three-course meal offers choices of soup or salad, roasted turkey or glazed ham steak, and Buche de Noel or cranberry apple streusel pie for dessert. The cost for the meal is $48 per person (children 12 and under $19) with tax and gratuity extra. Reservations are recommended. Paulette's will serve special meals on Christmas Eve and on Christmas Day. On Christmas Eve, from 5 p.m. to 9 p.m. you can enjoy a three-course dinner with entree choices of grilled filet mignon ($59.95 for the three-course dinner), gulf redfish with crabmeat ($59.95), twin Maine lobster tails ($69.95), rack of New Zealand lamb ($64.95) or crab au gratin ($49.95). Details will be posted on their website. On Christmas Day, enjoy breakfast from 7:00 a.m. – 10:00 a.m., ordering from the regular menu. Lunch from 11 a.m. to 3 p.m. will have a special three-course menu. The restaurant will be closed Christmas evening. Reservations can be made online or by phone. The Peabody Hotel will be offering an extravagant Christmas Day brunch from 10 a.m. to 2:30 p.m. The brunch will include hundreds of items, including breakfast dishes, seasonal entrees, salads, seafood, side dishes, a carving station, plus a 32-foot-long dessert table. Cost is $78 per adult and $28 per child (ages 5-10). This does not include tax or gratuity. Reservations are recommended. End your Christmas celebrations with an elegant, four-course dinner in the Peabody Hotel's classic French restaurant Chez Philippe. and $48 per person for a wine pairing. For a casual way to spend your Christmas night, head downtown to Bardog Tavern, which will be open from 5 p.m. to 3 a.m. This neighborhood favorite will serve its signature mix of gastropub fare and Italian favorites—everything from sliders to hot dogs to soup, steak, and meatballs. Plus, they will have a selection of local drafts on tap and a jukebox in case you're tired of holiday tunes by then. Memphis has nine area IHOP locations, all of which are open 24 hours a day, including Christmas Day. Fill your plate with pancakes, French toast, bacon, hash browns, and all the coffee you can handle on Christmas Day at this classic chain. If a proper holiday after party is what you want, head to Bar DKDC to rock your way through the evening of December 25th (they close on Christmas Eve). The intimate venue will host a Christmas night show beginning at 10 p.m., but the bar will open earlier in the evening. Watch the DKDC Facebook page for the line-up of musicians. Which Memphis Restaurants Were On Diners, Drive-Ins, and Dives? Want to eat outside in Memphis? Here's where to go.